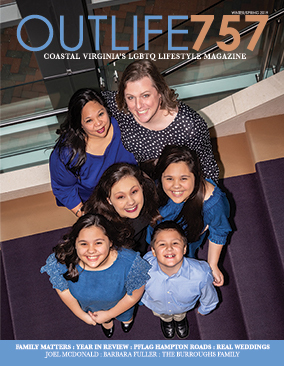 Outwire757 is an online LGBTQ news, entertainment, and lifestyle magazine serving the Hampton Roads, Virginia, community. 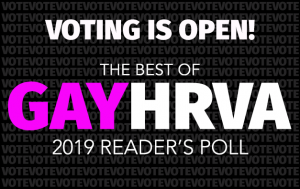 We report on the latest local, state, national and world news as well as entertainment and topics of importance and interest to the local lesbian, gay, bisexual, and transgender community. Your opinions and content suggestions are very important to us as we strive to bring you the stories you want to read about. We are always looking for contributions from citizen journalists and freelance writers. Please contact us if you are interested in having a voice via our magazine. All of the materials published on Outwire757 are owned and subject to copyright by Outwire757 or their respective authors or organizations, including, but not limited to, images, video, logos, and trademarks. Articles on Outwire757 may contain copyrighted material from other sources. While it is our policy to make every effort to determine the source and accurately attribute the content presented herein, some images and content appearing on Outwire757 have been previously published in print and/or online, and may be available through multiple sources. We assert that such content falls within the definition of “Fair Use” under United States Copyright law, Fair Use Doctrine, Title 17 of the U.S. Code, and is used by Outwire757 for purposes of news reporting or commentary. 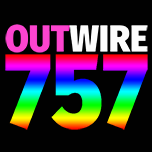 If you believe that any content appearing on Outwire757 infringes on your copyright, does not fall within the definition of “Fair Use,” has not been accurately attributed, or is in error, please let us know and we will make every effort to correct the error or omission, or remove it from this website. Please contact us with the following information, and the infringing material will be reviewed as soon as possible. (f) a statement by you made under penalty of perjury, that the information in your claim is accurate, and that you are the copyright owner or authorized to act on the copyright owner’s behalf. Please also note that under Section 512(f) of the Copyright Act, any person who knowingly misrepresents that material or activity is infringing, may be subject to liability.